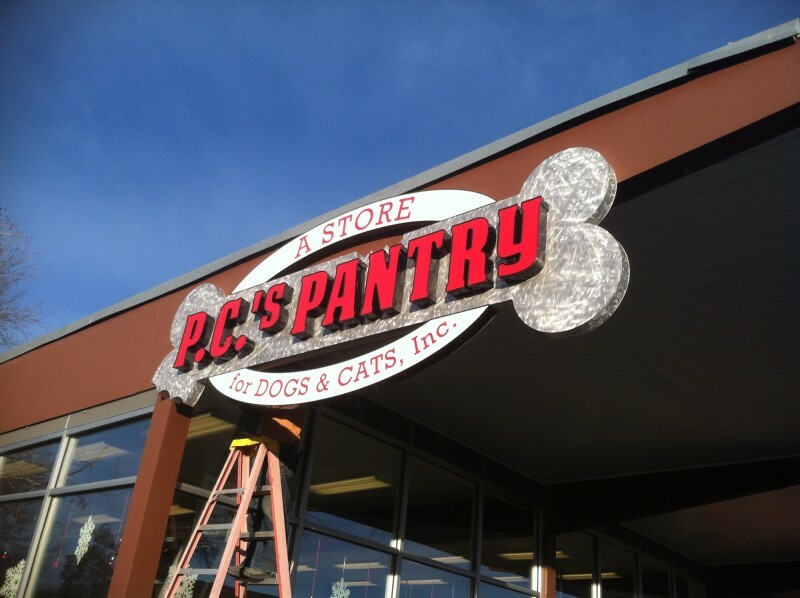 Home / Blog / How to design successful commercial signage? Commercial signs are essential elements required in order to ensure the success of any business. The marketing word is fierce and volatile; its fast-changing rhythm is virtually impossible to follow. Nonetheless, there are simple marketing tricks like a cool, eye-catching business sign design. A well-designed commercial signage will effectively work for a long time, but failing in its design, will scare away even the most faithful customers. When creating a design for your business signage, it is important to consider different elements like color, typography, location, size, among many others, making them flow harmoniously together. At BSC Signs we have been offering the best signage solutions to U.S. citizens for decades. Today we would like to share some important and handy tips to design a cool, original and effective commercial signage for your business. Business signage should be eye-catching, but readable. Simplicity in the design is better, especially if you are exploring ideas. When designing, keep in mind your brand’s essence, target audience, and business image. When selecting your signage colors keep in mind your services and business image, mission and goals. Avoid using more than 3 colors and try to keep combinations simple. Color contrast is essential in order to ensure its readability. In most commercial signage you will find graphics and text, therefore it is important to select colors based on the information and graphics you will be displaying. According to the Advertising Association of America, the most visible color combinations in signage are white on blue, black on white, black on yellow and yellow on black. This could give you a good start. The other essential element to consider as well as, the colors, size, shape, design, and information to be displayed, is the location. This step should be taken care of from the beginning. The right location will also determine the right choice of colors and size, making the sign noticeable to your customers. For instance, you could use large fonts if your sign is placed near the road. This way, drivers will be able to read it from a distance. As you can see designing an efficient commercial sign is not an easy task, but thanks to BSC Signs you can get the best signage solution that suits your budget. After a thorough needs analysis meeting we decide on the most effective and economical sign system to fit both your needs and your budget, taking into account all aspects of the project. Contact Us today and learn more.